How to match with FEELWORLD F6 On-camera monitor? so that the dummy battery power supply can be used to charge your DSLR or Mirrorless Camera. 8V DC output could work for Longer Gimbal Shooting! 【Fully decoded】Power your camera via a battery mount plate, you can get the battery condition easily, helping to extend your shooting time. 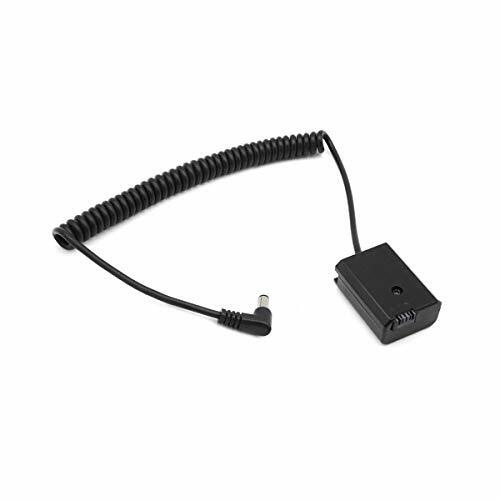 【Voltage: 7.2V-8.4V】The feelworld f6 power supply adapter is designed of spring connection cable , flexible and convenient to use. 【5.5 * 2.1mm DC male plug】Dummy battery DC coupler is a practical power supply adapter for camera. If you have any questions about this product by FEELWORLD, contact us by completing and submitting the form below. If you are looking for a specif part number, please include it with your message.